New Age Mama: TokyoTreat Unboxing- Japanese Candy for the Whole Family! 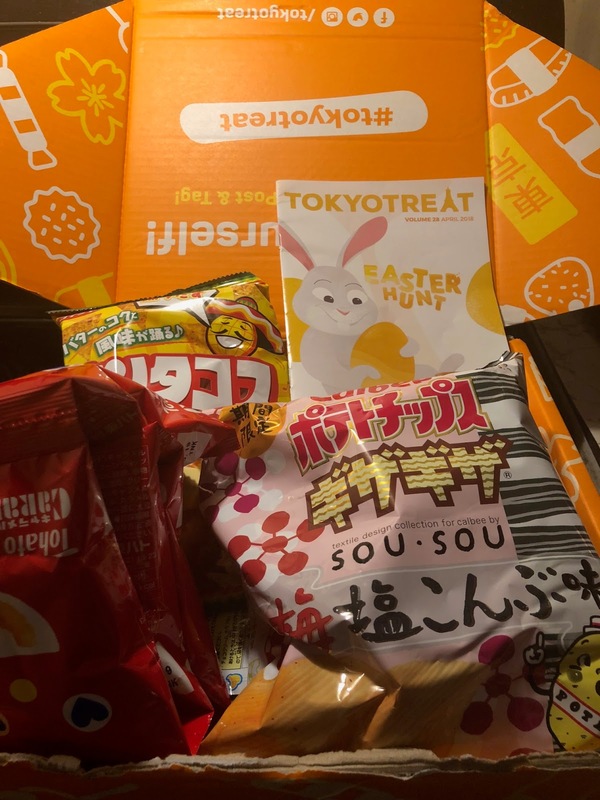 TokyoTreat Unboxing- Japanese Candy for the Whole Family! I was thrilled to team up with TokyoTreat to bring our readers an immersive experience into the Japanese culture. 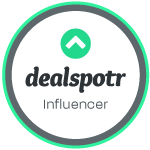 If you're a foodie like me, this monthly subscription box is ideal! Let's face it, we all dream of being able to travel the world and experience worldly foods, drinks, and snacks that we don't normally get to discover. 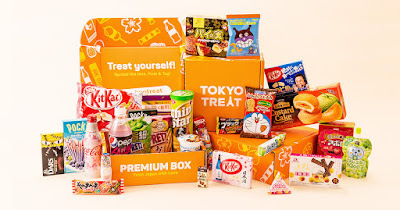 TokyoTreat allows for you to have that joy right in the comfort of your own home. These boxes are jam packed with goodies for families everywhere. 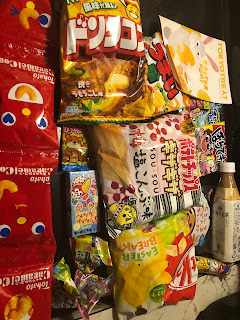 Included is a guide that explains each treat for the buyer so they can explore the history and unique flavors before taking a bite. Ready to see what April's box had in store? Read on with me! Oh do I love tacos! 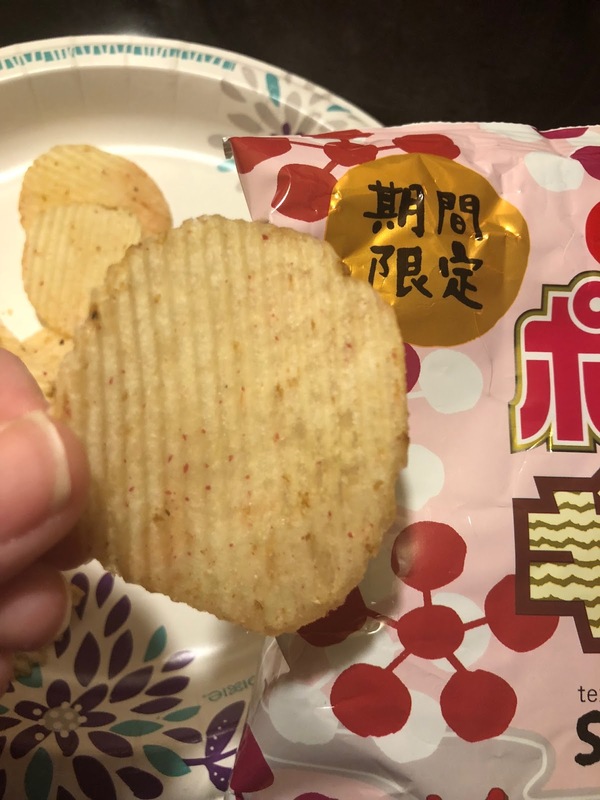 These chips were so savory. 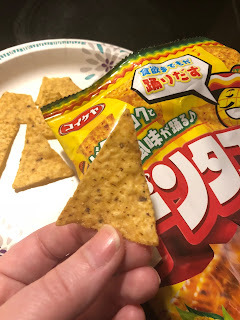 There was a dash of salt and a hint of sweetness from the butter and soy sauce mix on the crispy corn chips. One of my favorite toppings is soy sauce so this was perfection. Yum! Sweet, soft, with just a hint of crunch. These Caramel Corn snacks reminded me of the type of texture you'd expect from corn cakes almost. The pack of four makes these wonderful to share with friends. With the flavor not being too overpowering, these were wonderful to curve a sweet craving. I'll admit I was nervous about this one. I’ve never had any type of seaweed before. I was pleasantly surprised, however! The chips had a traditional crispy texture along with a nice thickness to the consistency. There was a good bite of flavor to it that you would expect from an underwater delight. A nice mix of salt too makes these a good match for a seafood aficionado. 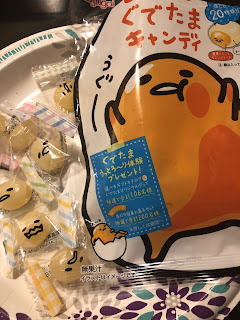 Umaiwa Cheese are adorable circular snacks for my cheese lovers out there! 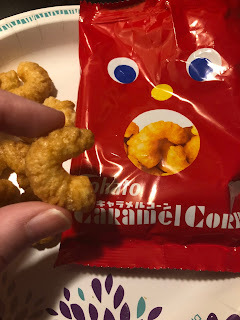 They have the perfect corn puff texture and the flavor of the cheese is a little sharp and yet a little sweet. Just like cheese fondue. 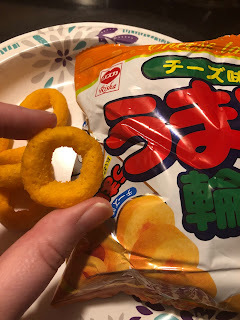 It reminded me a lot of the onion ring snacks that we have here in America. I would highly recommend them! A good DYI kit never disappoints and these were so much fun to make! Such an enjoyable kit for children and family alike. Included is the chewy banana treat, chocolate cream, as well as a colorful topping to put into the plastic container. To avoid mess there is even a toothpick included to insert your treat into. 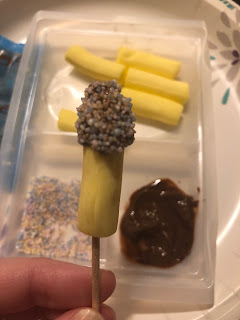 The Choco Banana texture is soft and chewy. The chocolate has a rich and decadent flavor while the topping as a hint more sweetness to the mix. The Unaibo Teriyaky Burger is shaped so uniquely! I really loved the large size along with the light and airy texture. The flavor is extremely savory! 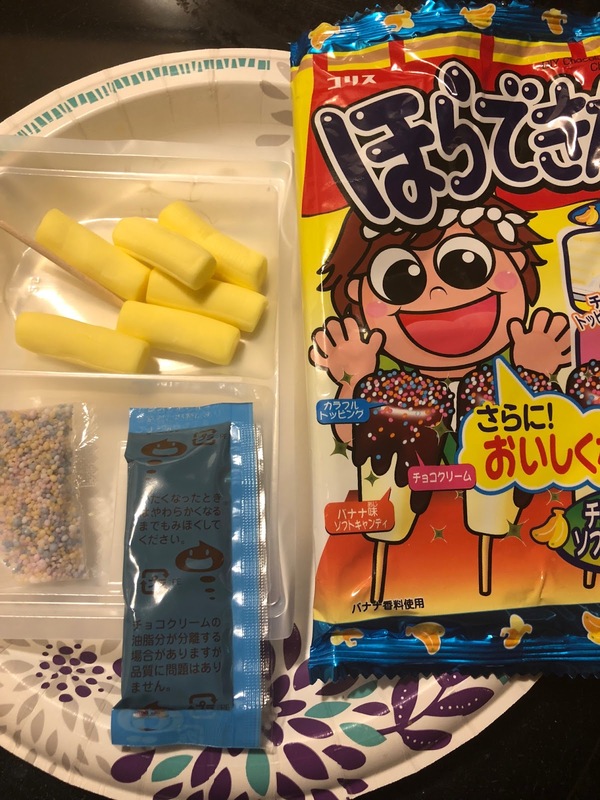 There’s no doubt that you are enjoying a teriyaki treat as if you were really in Japan! These cute candies melt in your mouth for you to enjoy! Inside is a hidden orange sauce that adds perfectly to the yogurt flavored sweet candy. The sweetness wasn’t too overpowering and was well balanced with the orange sauce. Plus who wouldn’t love the adorable Gudetama faces on the wrappers? I'm a huge Disney fan and the Pakkuncho Custard Biscuits wear one of my favorites in this month's box! The fun Disney packaging mixed with the airy crunch of the basket was delicious! 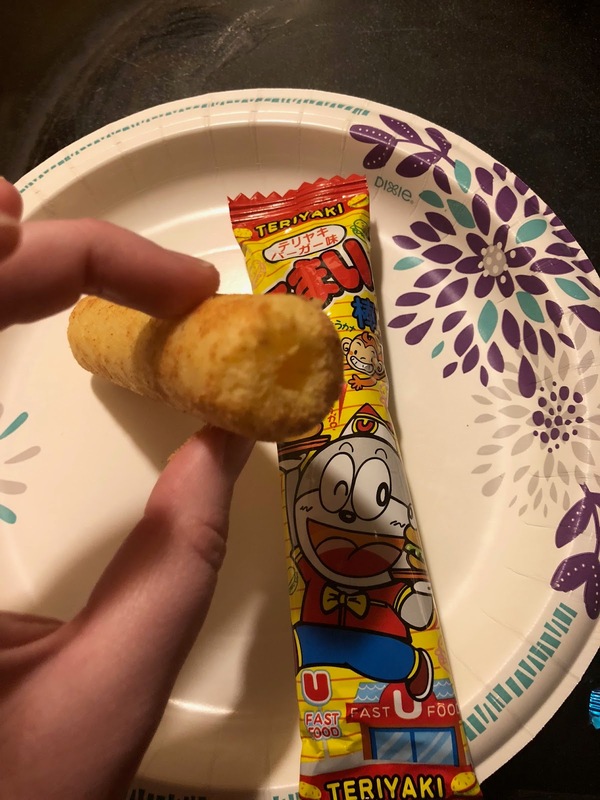 The custard pudding was like an added bonus. It was rich and flavorful just like a bakery dessert. 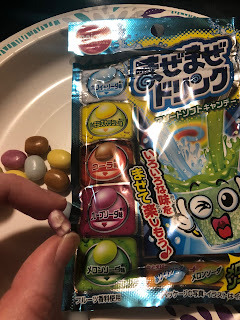 Welcome to flavor paradise with the Colorful Seeds Soft Candy! They reminded me a lot of jellybeans. The flavors include grape, orange, and ramune. With a pang of taste it makes it even more fun to mix and match flavors. A little sweet with a little tart is the ideal experience! The bag has a nice Ziploc on it as well. If you love lemon these are perfect for you! The Lemon Gummies have a thick texture and a powerful zing. They are a bit hard to chew so I would recommend letting them melt in your mouth. There are three unique textures to these snacks. One is the soft outside layer of white chocolate. 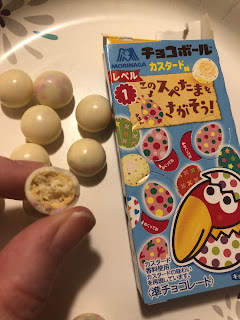 Upon biting deeper into the egg shaped treat, you get a dash of crunch almost like a biscuit or cookie. Lastly comes the sweetest of the pudding inside as well. 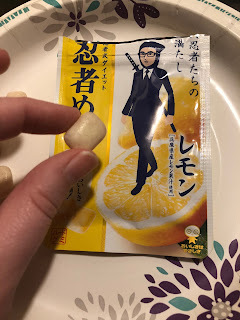 Another favorite of mine from TokyoTreat! 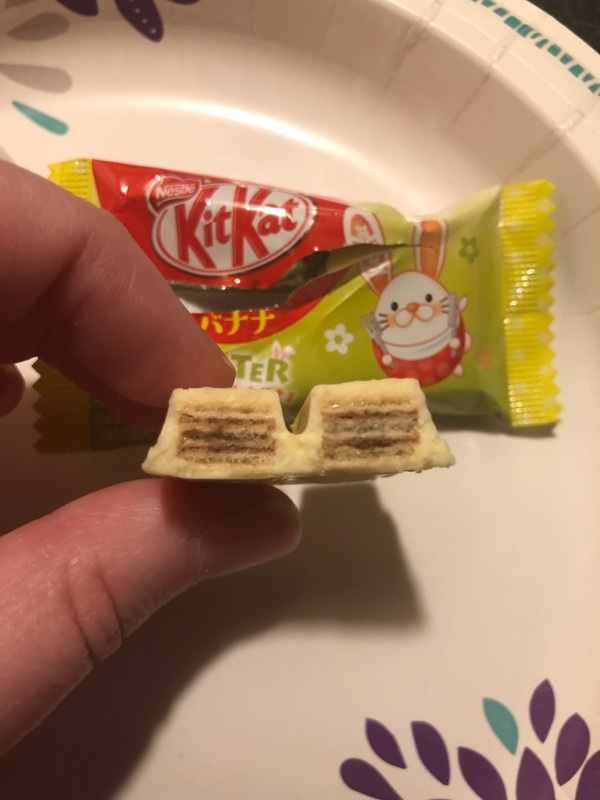 I'm a huge fan of traditional Kit Kat Bars. My entire household loves them. I was excited to get the opportunity to try a new flavor! They reminded me a lot of banana pudding with wafer cookies, one my favorite desserts! The taste of the banana seemed very realistic, unlike many banana flavored treats on the market. Within the Kit Kat is everyone's favorite light crispy wafer and that was the perfect addition. 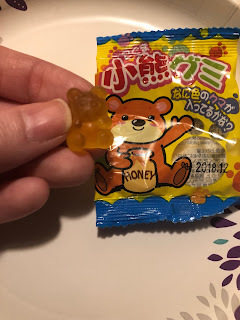 I'm a sucker for anything cute (or Kawaii since we're discussing Tokyo, Japan) and these Baby Bear Gummies were just that. The design was absolutely adorable. 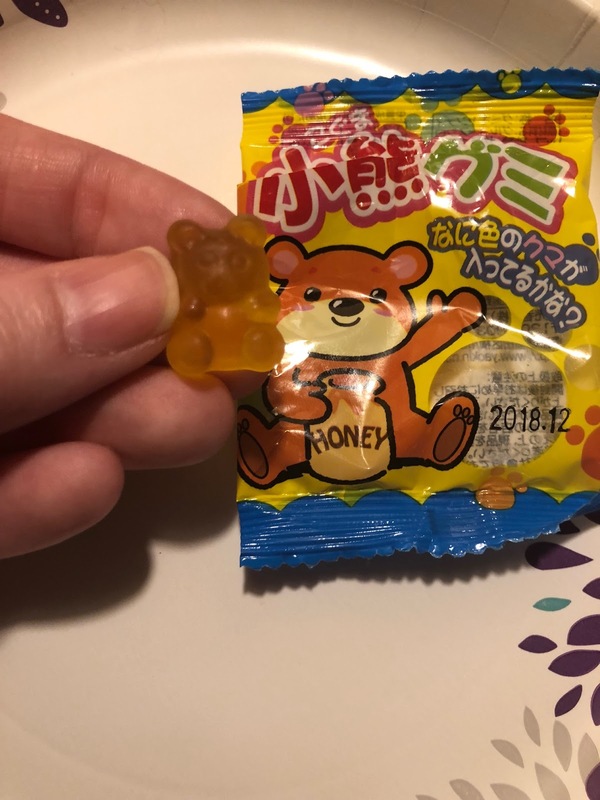 The flavors of the treat is what you'd expect from a gummy bear. 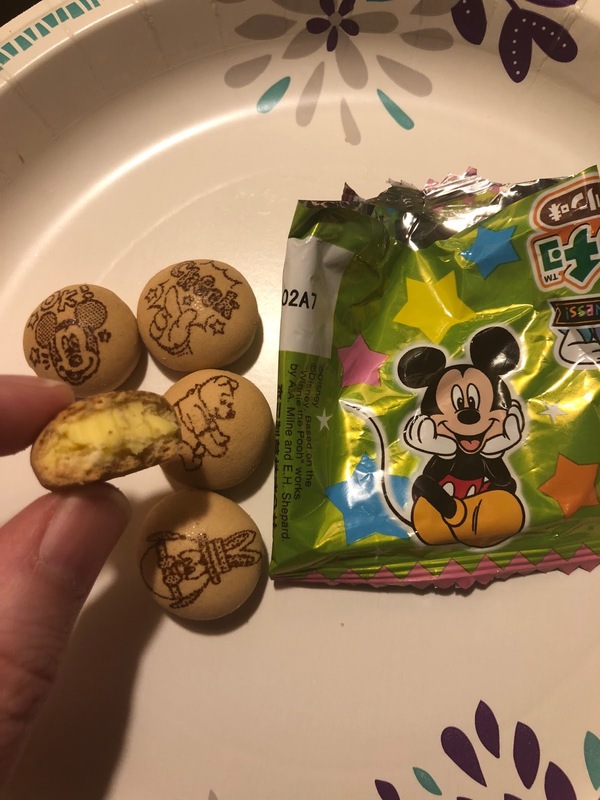 Since these are my little brother's favorite, I gladly shared with him! The perfect way to finish off the TokyoTreat experience is with a delicious drink! This White Chocolate Milk Tea is perfect to share with your loved ones or enjoy solo with any of the included snacks in your box. The flavors were quite rich and smooth. 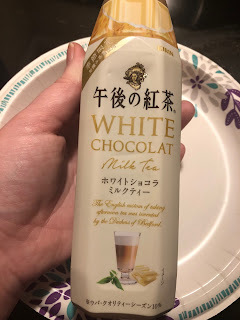 I'm a huge tea fan and was pleasantly surprised how much I enjoyed this beverage! The bottle design itself was also very unique, sculptured to look like a real piece of white chocolate.